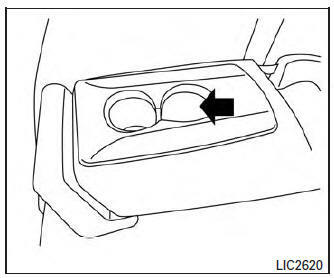 Do not recline the rear seatback when you use the cup holders on the rear armrest. Doing so may cause the beverages to spill over, and if they are hot, they may scald the passengers. 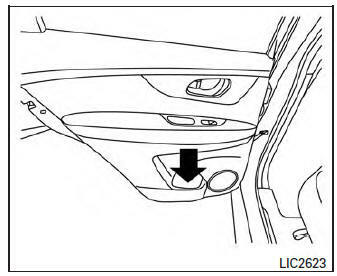 Avoid abrupt starting and braking when the cup holder is being used to prevent spilling the drink. If the liquid is hot, it can scald you or your passenger. Use only soft cups in the cup holder. Hard objects can injure you in an accident. Do not use bottle holder for any other objects that could be thrown about in the vehicle and possibly injure people during sudden braking or an accident. 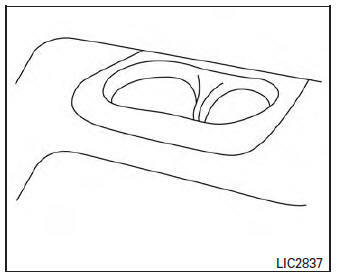 Do not use bottle holder for open liquid containers. 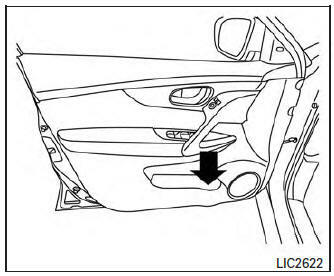 Open the glove box by pulling the handle. 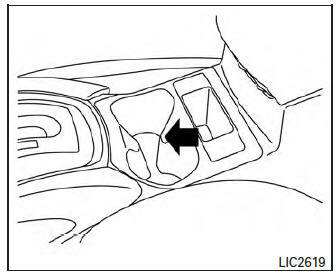 Keep glove box lid closed while driving to help prevent injury in an accident or a sudden stop.